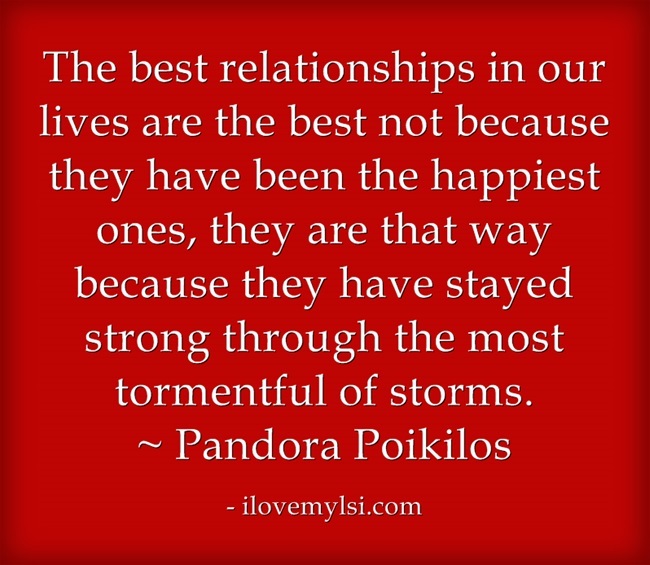 The best relationships weather all the storms, and we know that there are a lot of them. 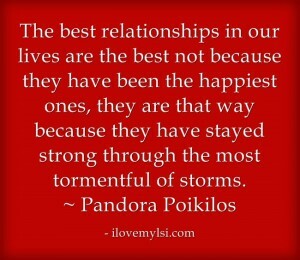 The best relationships weather the most tormentful of storms. One day you will meet a guy. well this is my first time looking at this and its very interesting and it has a lot of good things in here. see life is hard I mean we all go through so much in our lives we all have are ups and downs and its hard to live life knowing that we all have our destiny who knows what life holds for us all all we can do is take one day at a time well god bless.